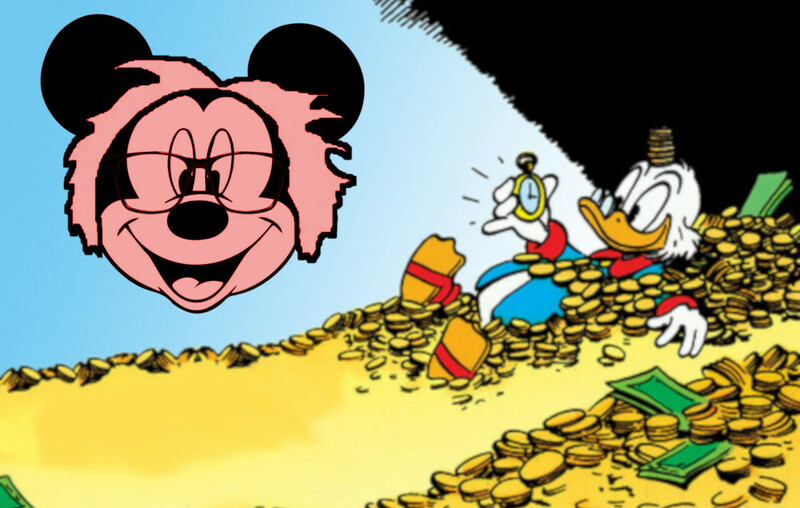 Disneyland employees' average hourly wages have decreased in real terms every year for more than 15 years, while the company has taken in record municipal subsidies from the city of Anaheim and soared in profitability, returning high dividends to its shareholders. The transfer of wealth from employees to shareholders and the squeeze on employees' pocketbooks has left many employees homeless and many more in debt and struggling. A ballot initiative in the City of Anaheim would force companies that received municipal subsidies to pay a $15 minimum wage with an annual raise of $1/hour until wages reach $18/hour, with inflation-adjusted raises every year thereafter. Disney is fighting the proposal tooth-and-nail. Bernie Sanders headlined a rally in Anaheim in support of the measure yesterday, saying "I want to hear the moral defense of a company that makes $9 billion in profits, $400 million for their CEOs and have a 30-year worker going hungry." He was joined by veteran Disney employees who shamed the company with statement like "Disney prides itself on making dreams come true.. Disney, where is my dream?"